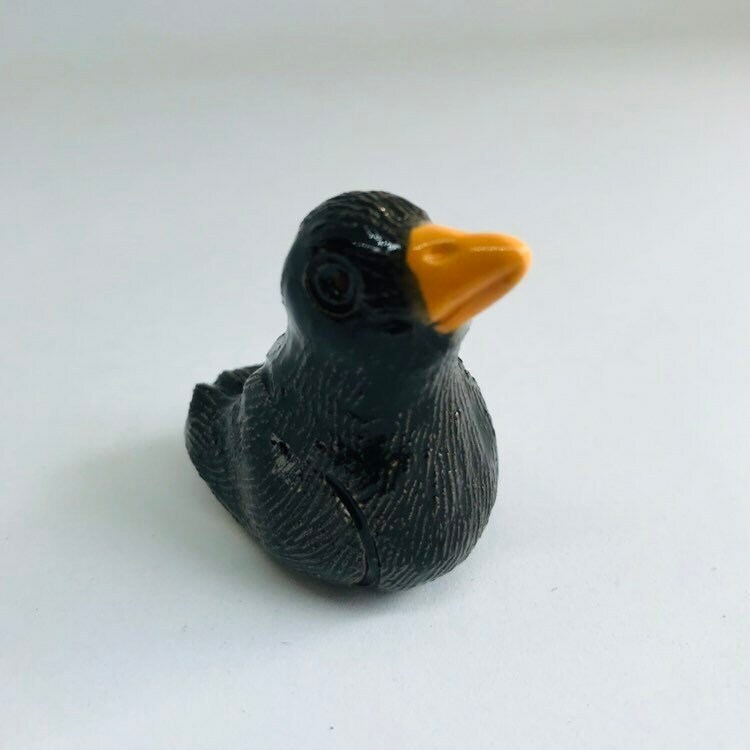 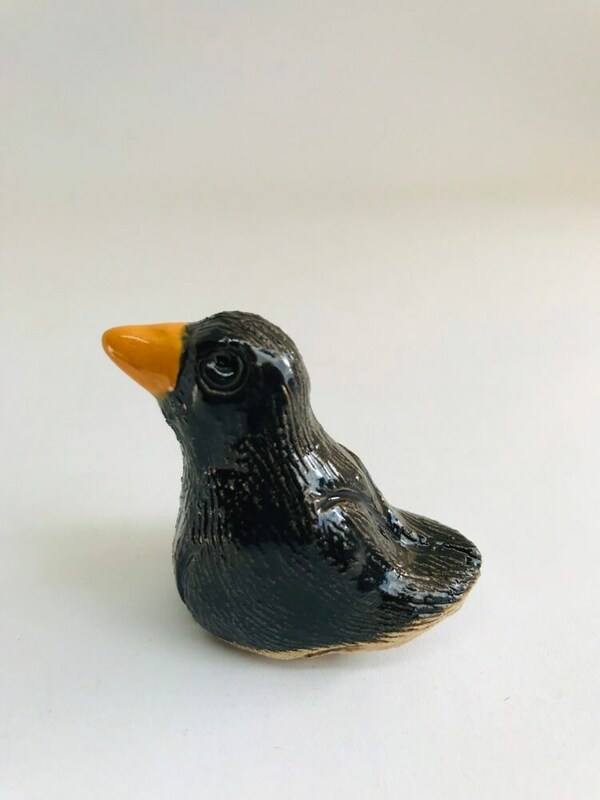 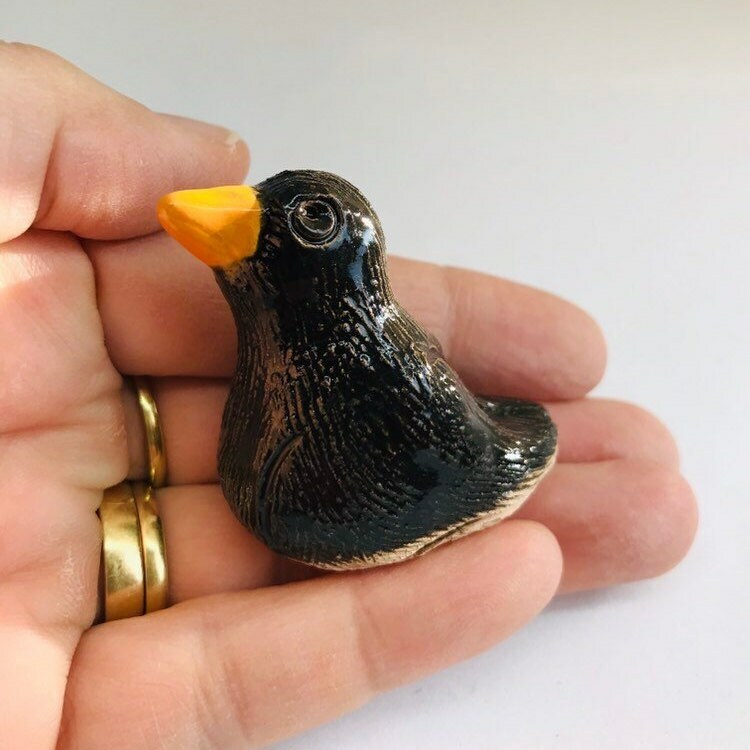 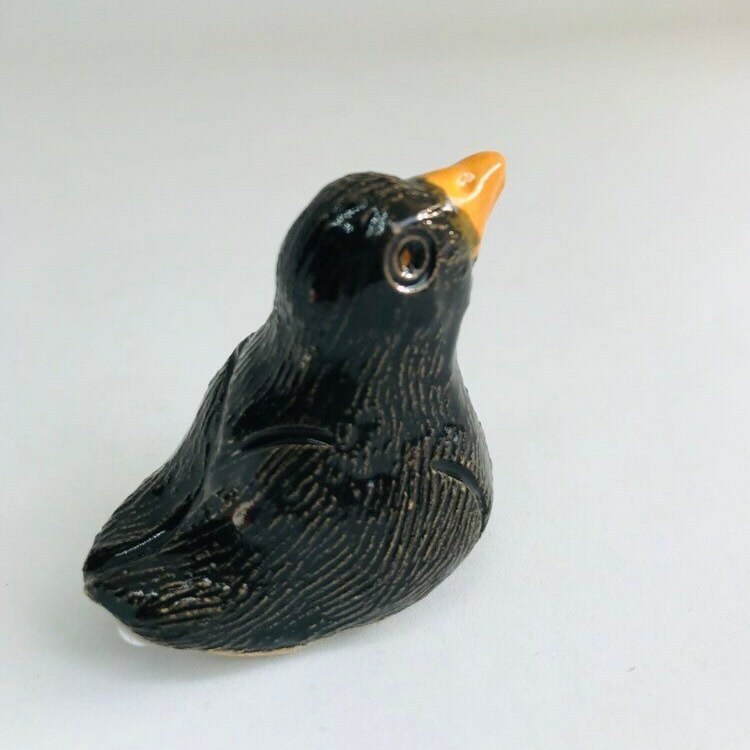 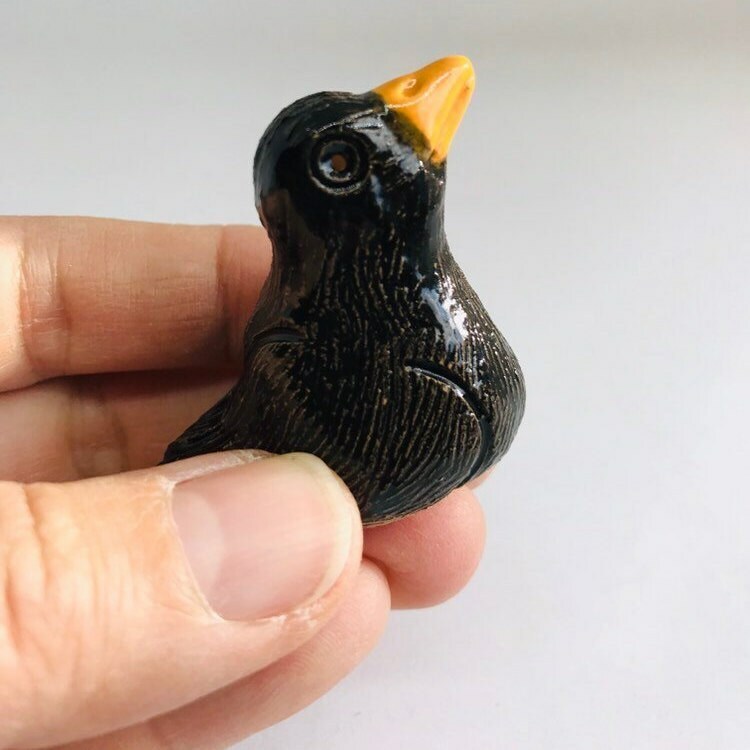 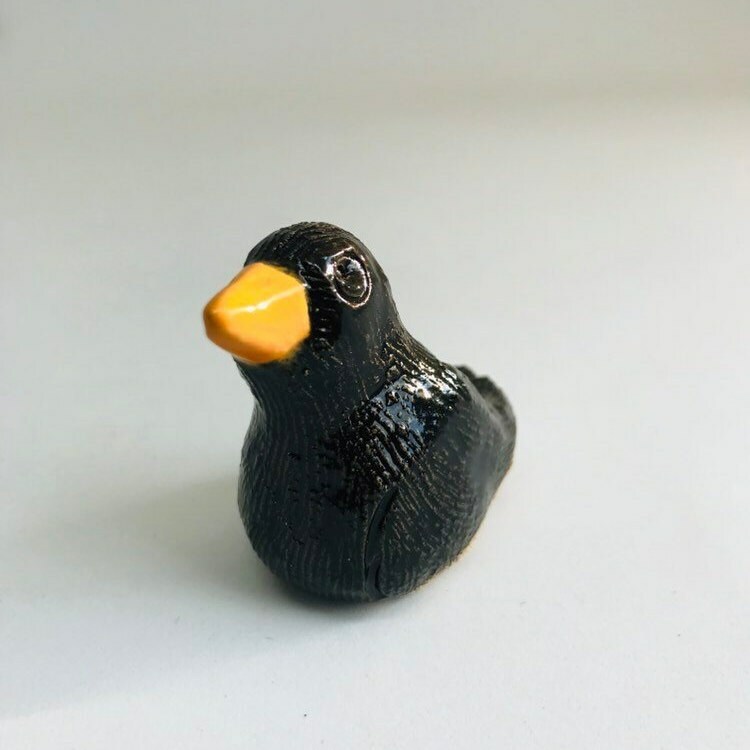 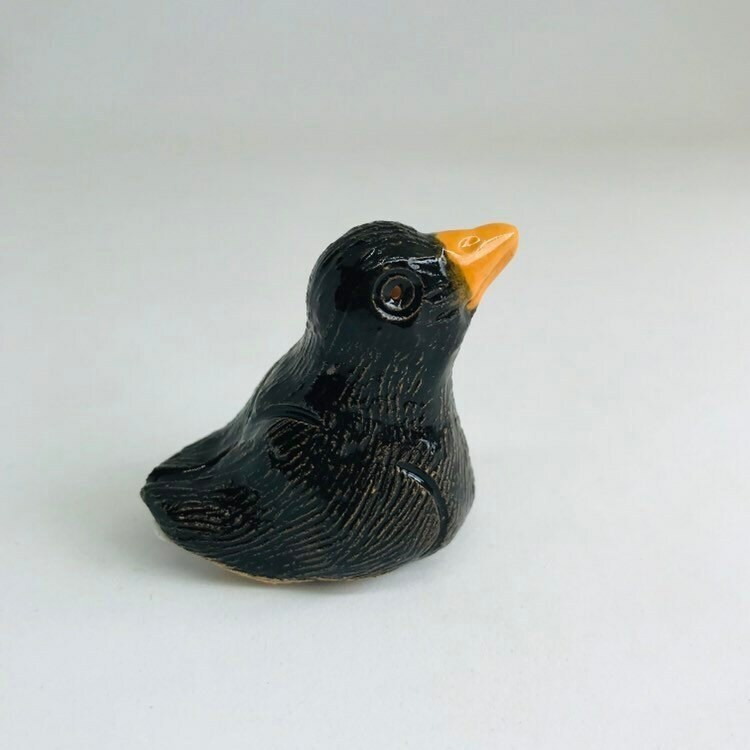 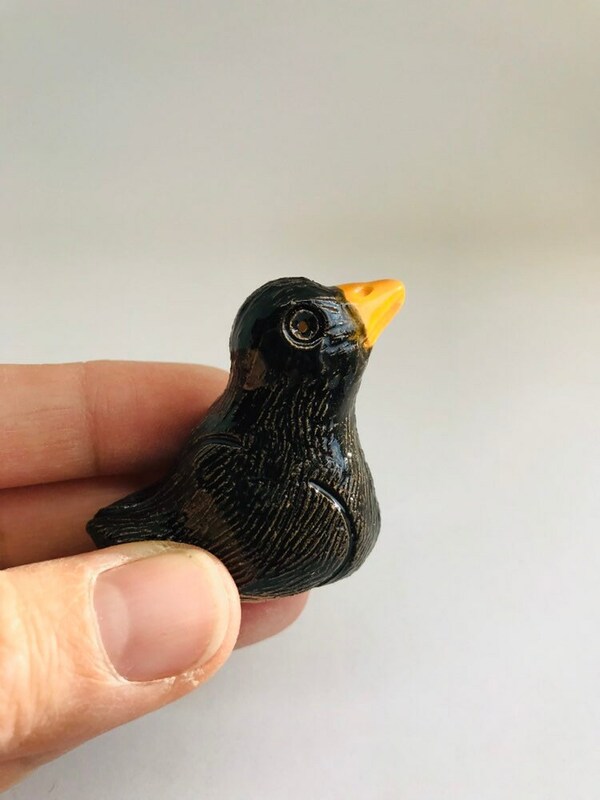 Blackbird, Gardener, Wild Bird, Ceramic Ornament, Miniature, Pottery Ornament, Easter, Valentines Day, Anniversary, Birthday, Miniature. 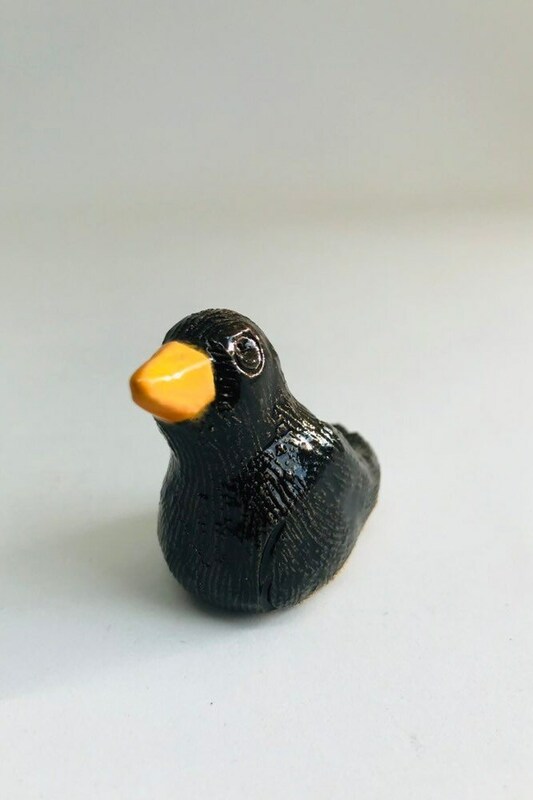 This listing is for a pet Blackbird. 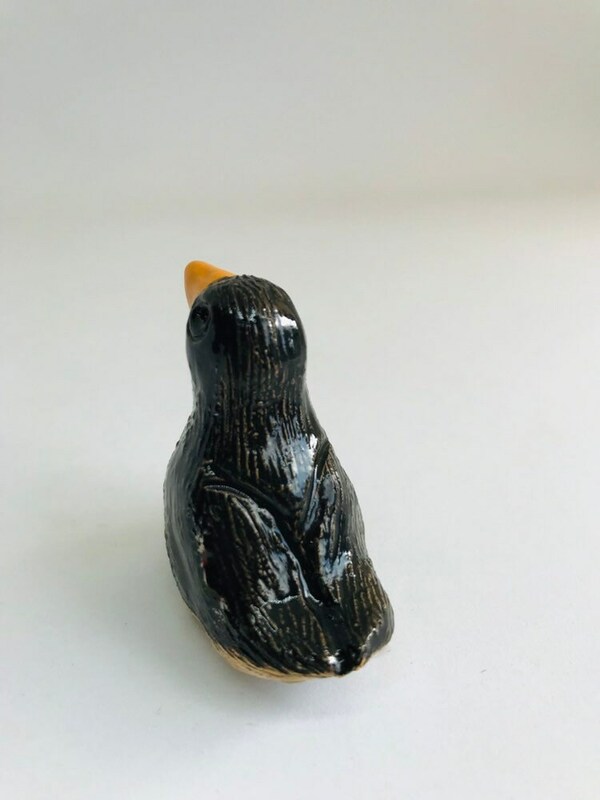 He measures 4.5 cm height x 2.5 cm wide and 4.5 cm deep.